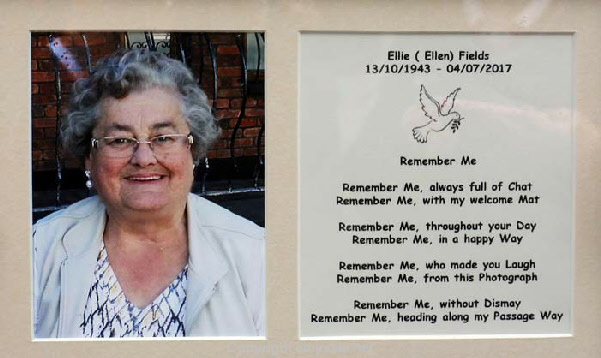 In Memory of Ellie (Fields). 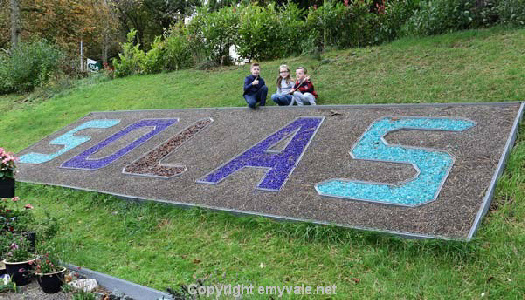 On Friday the 13th of October, friends of Ellie Fields at Solas Drop-in Centre organised an evening called “Celebrating Ellie”. 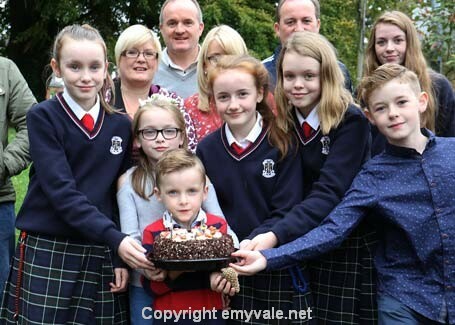 This was to celebrate the life of Ellie Fields, Emyvale, who passed away on the 4th of July, 2017, after a short illness. 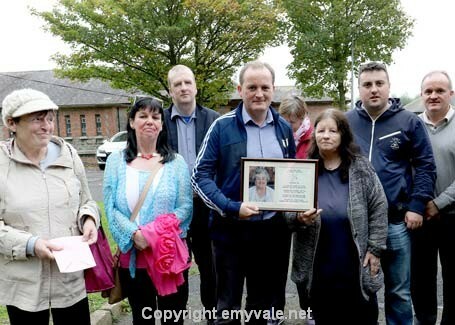 Solas Drop in Centre in Rooskey is a wonderful place that Ellie frequently visited and made many great friends and had a great support network for the past many years after the death of her husband Shosa in 2005. The family of Ellie are indebted to the friends and Support network that Ellie received over these years and will always be remembered. 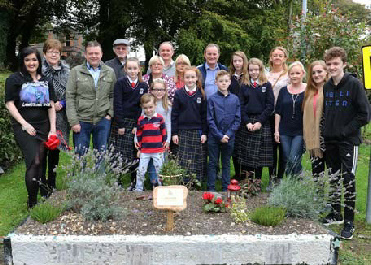 The committee and Members of Solas organised a lovely evening for Ellie and had built a special Garden for Ellie and with a beautiful memorial plague to remember Ellie for many years to come and a place where Ellie's family and friends can visit. 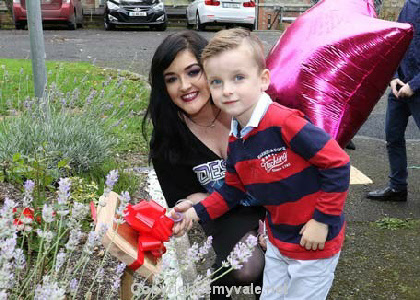 Alice O'Neill said some beautiful words about Ellie and how Ellie would brighten up everyone's day when she popped in and indeed was there to support others and others also supported Ellie. 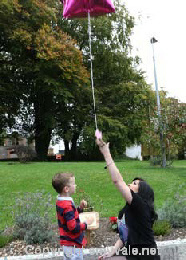 Ellie's youngest grandchild, Aaron Hughes, cut the ribbon on the new memorial plague and let off a balloon that all of Ellie's grandkids had signed and added their messages to Ellie on it. He was assisted by Olivia. 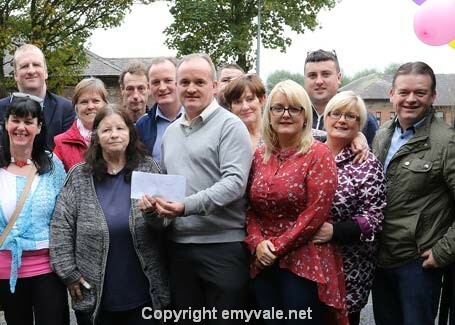 Ellie's son, Enda Fields, then made a presentation to the committee members of Solas of donations that many people had donated around the time of Ellie's wake and funeral. 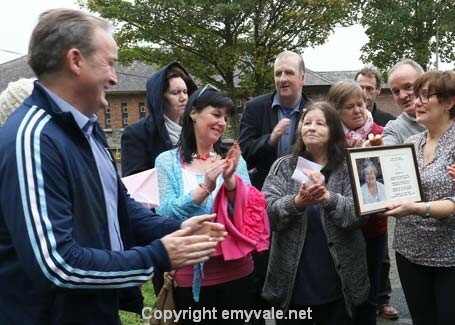 Ellie's other son, Seamus Fields, then presented a framed photograph and poem about Ellie that found a new place on the wall in Solas Drop-in Centre. 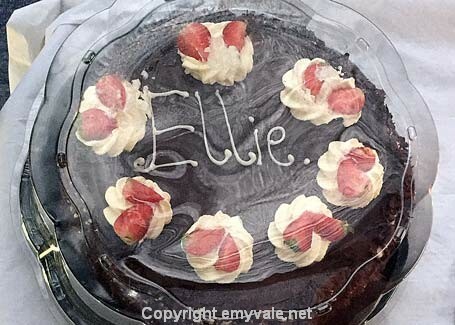 The family and friends of Ellie then enjoyed refreshments and spent a lovely time talking about Ellie and sharing stories. The day was also carefully chosen as 13th of October is Ellie's Birthday and Solas had a lovely birthday cake and balloons up to celebrate her Birthday. 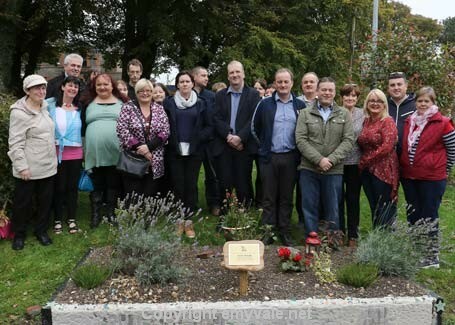 The Fields Family would like to thank all the committee members, staff and friends of Ellie at Solas Drop-in Centre for this truly lovely and special evening to Celebrate Ellie's life. 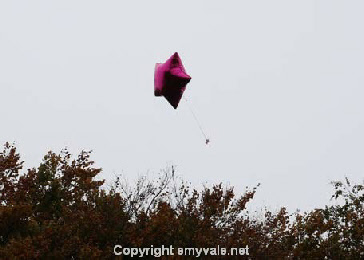 'You all were truly wonderful friends to Ellie and will always be remembered'.